As a Christian, I was indecisive as to the origins of our four Canonical gospels. 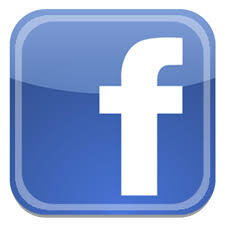 Ideally, they were four independent accounts by eyewitnesses, or associates to eyewitnesses, each showing a unique perspective of the life of Jesus. In fact, my church pastors never strayed too far from this ideal course. However, reading the Gospels for myself led me to some troubling questions. The Gospels contain sayings of Jesus, which in some cases are identical between gospels. For example the Parable of the Leaven found in Luke 13:20-21 and Matthew 13:33 – “The kingdom of heaven is like leaven which a woman took and hid in three measures of flour, till it was all leavened”. In other cases, the sayings are placed in the same setting, but slightly different, as in the voice from heaven’s proclamation of Jesus after the baptism (Matt 3:17, Mark 1:11, Luke 3:22). The voice speaks directly to Jesus in Mark and Luke (‘Thou art my beloved son’), but the voice speaks to the crowd in Matthew (‘This is my beloved son’). Why the differences in some cases but near verbatim in others? Was this design by divine purpose, copyist error, or dare I say, differing Gospel traditions? Of course, my church never dwelled into this territory of Biblical study, and I was left with my questions parked in my brain where they remained for years. Burton Mack’s The Lost Gospel of Q deals directly with this question with a hypothesis that is wholly plausible. Since studying up on Christian origins, I have run into ideas of Markan priority and the two-source hypothesis, but never fully understood the rationale behind these ideas. Mack shows the problems in harmonizing the various Gospel sayings, demonstrates the feasibility of Markan priority, then interprets the person of Jesus based on the implications. Mack does this in an intelligent, highly readable and nontechnical manner that requires only familiarity with the synoptic Gospels. It does treat some material a little too lightly for my tastes, but on the whole this was an excellent read. Mack begins with the origins of the two-source hypothesis and why it is needed. Much of the material in Matthew and Luke are identical, particularly the sayings of Jesus like the previously mentioned Parable of the Leaven. However, those sayings which are common through Matthew and Luke are strangely missing in Mark. This is especially strange in the case of Matthew, since much of Matthew shares similar plot elements with Mark. This leads to the hypothesis of the book, that Mark is the earliest of the Canonical Gospels (Markan Priority), that Matthew and Luke independently used Mark and a lost sayings gospel code-named Q (two-source hypothesis), and that the hypothetical lost gospel Q can be, at least in part, be extracted by comparing common sayings between Matthew and Luke. Mack then reconstructs Q based on his own Greek translation. The result is a book of sayings from a man named Jesus, a man who is a non-miraculous, non-divine Galilean Cynic. It is utterly fascinating, and wholly plausible. My largest issue with the book is based on Mack’s stratifying Q. If the Q hypothesis is correct, Q is certainly our most ancient document based on Jesus. It is at this point that I wish Mack would have gotten a bit more technical in his presentation. Not content thus far, Mack separates the sayings of Q into three categories: common instructions based to the community at large, apocalyptic judgments largely addressed to ‘this generation’, and miscellaneous material that does not seem to fit the overall theme, like Jesus’ wilderness temptation. Mack contends that the three categories are actually three levels of redaction, with the successive layers written at different times. Mack then reprints Q *again* with the ‘original’ version of Q, that with the general community instructions. That the hypothesized original Q is reprinted seems to stress the contention that this version is the closest to a historical Jesus that we are ever going to get, yet it merely comes by categorizing the sayings of Q. Mack may see redaction in the categories, but it just seems like a neat idea with little basis. Interpreting Jesus based on layers of storytelling like this makes the whole idea seem circular to me. With that one complaint out of the way, I highly recommend this book to anyone interested in the viability of the two-source hypothesis. Read it, like anything else, with a critical eye and take out of it that which makes sense. After reading this book, I am convinced that, while not airtight, it is the most plausible hypothesis to the origins of our synoptic gospels and how they were written that I have ever considered. I recommend this book to anyone curious about Gospel origins and the sources for Christian faith. Entry filed under: HeIsSailing. 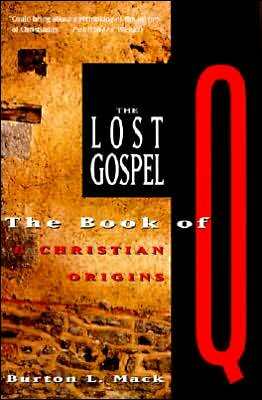 Tags: apologetics, book review, Burton Mack, christianity, Gospels, religion, the lost gospel. Thanks for the post. This has been an incredibly debated subject for years. I won’t hide the fact that I am still a Christian. I am assuming that all contributors of the site are not Christians or have been de-converted. But do know I am here to discuss, not to be patronizing or rude. One question that has come to me lately after much discussion with others on the nature of the Biblical text is this – Do you think we sometimes try and take our 21st century understanding of accurate testimony and what it means for something to be without error and make it fit with the purpose and worldview of the Biblical writers who lived in another historical and cultural context far removed from us? I read the book by Mack several years ago. It made sense to me, though I lack the expertise to judge whether his thesis is plausible or not. As far as the canonical gospels differing: they were composed between 70 and 100 years after Jesus lived, no? So of course they are going to differ on details and present a different picture. My “de conversion” didn’t come from differing details but rather from: my outgrowing believing in superstition. cool post, im glad you talked about the Q source (a basis for the widely accepted four source theory). On an interesting side note… theologists were uncertain if such a ‘book’ could exist but then stumbled upon the Book of Thomas which was also a book of just quotes of Jesus (although a bit too gnostic for the early church to canonize). Anyway, I’m a nerd and enjoy getting into that stuff haha… have a good one.. There are some good thoughts out there written by a Christian theologian named F.F. Bruce. He addresses these issues in his particular book entitled, ‘The New Testament Documents: Are They Reliable?’ Yes, he is a Christian, but I still think it might be worth dipping into to continue to help think through all the variant gospel source information. However, study of the writing of the times has convinced me Luke rejected Matthew’s Greek form of the birth of Jesus, and over-dramatized resurrection, which resolves that problem. The Sermon on the Mount remains a puzzler. By far one of my favorite studies—the Synoptic Problem. Sadly unappreciated in most Sunday Schools. Despite this being my only book on Q, the case for Q and Markan priority became stronger in my mind after reading Strauss’ “Life of Jesus Critically Examined”, first published in 1835. Strauss is pretty merciless in showing the contradictions and implausibilities in the Gospel narratives. However when Strauss critiques and reveals the problems in the teachings and sayings of Jesus on his assumption that Matthew was the first Gospel written, I noticed that most of the problems evaporated if I instead assumed the Mark-priority/Q hypothesis. To me, this strengthened the ‘Case for Q’. I am trying to wean myself off of this type of reading and get back to my beloved historical and pop-science books. I am trying to start reading a biography on Einstein, and an old Michener novel is on my shelf crying for attention, but… good grief this genre of Biblical criticism is addictive. Maybe because these were the forbidden books of my evangelical past? Maybe because there are scads of great 19th century works available for free on archive.org? Actually, I think it is the same lure that many found in the Da Vinci Code – it is one of the biggest mysteries imaginable, and some have dared to crack the code, and I am going along for the ride and deciding for myself what clues make the most sense in solving this mystery. Whatever the case, it did not help matters when I went and re-read the entire stinking Bible (66 canoncal, 18 apocryphal books) earlier this year. I have my old copy of FF Bruce right behind me. I read it many years ago, and again only recently. And yes, I did enjoy it. Do you think we sometimes try and take our 21st century understanding of accurate testimony and what it means for something to be without error and make it fit with the purpose and worldview of the Biblical writers who lived in another historical and cultural context far removed from us? Have you read Bauckham’s latest, “Jesus and the Eyewitnesses”? he does not argue for inerrancy, but he does argue for the kind of ’21st century understanding of accurate testimony’ that you describe. With a twist, of course – many of the witnesses apparantly were on a sort of ancient witness protection program. In my experience, most Christians care enough to make an opinion argue for this sort of thing. most Christians WHO care enough to make an opinion argue for this sort of thing. I have not read Bauckham’s, “Jesus and the Eyewitnesses”. I haven’t studied intensely on the synoptic gospels and the seeming problems between their reports. Also, have you ever wondered why we keep making so much about this ‘Q-source’ which we have never found? Many of the critical scholars hypothesize about such sources, but in the end, it is just a hypothesis. I am ok if there was a ‘Q-source’, just interesting that we have no reference to it. It is just a possible source that Matthew and Luke found, but no concrete evidence. ScottL, I don’t think anyone will disagree with anything that you say. Nobody is claiming that the existance of Q is gospel truth. Also, have you ever wondered why we keep making so much about this ‘Q-source’ which we have never found? Because we wonder where the canonical gospels came from. The use of Mark and Q is a compelling hypothesis that makes a lot of sense of the data. Yes, you are correct, HelSailing. And it is good to study what possible sources the gospel writers would have used. And I really am ok if there is a Q-source. It just seems odd that so much time has been invested in a document we do not have and probably never will have. It seems hard to claim Matthew and Luke pulled from Q, when we don’t know what Q says or if there was a Q. Nevertheless, it is good to make educated and reasoned stabs at these things in our study. I know exactly what you mean. I immensely enjoy reading books regarding the Eastern Front in World War II, and biblical studies have severely impacted my reading. Recently I have become more enamored with the Pacific theater of WWII, and am secretly pleased to maintain a 1:2 ratio—for every book on the Pacific theater, I limit myself to only 2 books regarding theistic debate. And yes, this topic of the Synoptic Problem is engaging. I think because everyone can do it. It is on stories we know, with Gospels we have read, and it becomes so tantalizing obvious (yet not obvious) when researching. Like finding the puzzle, or as you aptly compared it to—the DaVinci Puzzle. Solving a mystery of 2000 years. But what you really want to bookmark is: “hp://www.mindspring.com/~scarlson/synopt/” [Again, replace “hp” with “http.” While I love the internet, some days it hates me. Sigh.] This is an outstanding site, giving a list of the various solutions of the Synoptic Problem, many with links to other websites for further explanations. You will find a link for the “Case against Q” toward the bottom. It is even color-coded! It showed! It worked! Take that you evil twisted spam filter. I have outwitted you this time! In fact, Q has even greater problems with this, as the document itself is a matter of conjecture! At least with Matthew we have copies (albeit not duplicates.) With Q we have to conjecture whether the document even exits, conjecture what it contains, and are left with the same problems of conjecture as to the source of Q’s information. At least with Matthew we have less steps. As for my own bit of conjecturing, I would say Matthew’s source consisted of three items (in addition to the Gospel of Mark, of course): 1) The use of midrashic elements combined with the Greek form of progymnasmata, 2) oral sayings attributed to Jesus that the intended reader expected to hear and 3) Matthew’s own mind. As to the first, we need only look at the birth narrative. A ruler killing all the baby boys, then Jesus fleeing to Egypt and coming back out? One hardly needs a road map to see the obvious comparison to Moses. Further, Jesus’ birth account by Matthew follows the form of progymnasmata–a Greek system of presenting a biography. First present the person’s race (Jesus’ genealogy). Then present famous happenings at, or about the time of their birth (the star). Say good things about the town they were born in (Bethlehem) and finally, any prophecies fulfilled by the birth. In fact, this answered one of the troubling issues I always had with Luke’s rejection of Matthew’s birth story. If Luke was relying upon Matthew (as I claim) why would he so greatly re-write the story? However, if Luke recognized this as Greek codswallop when Luke wrote to a Jewish audience, he felt free to completely reject Matthew’s use of Greek idioms. Finally, as to the third, we have Matthew just raw making up stuff. Like the prophecy attempting to resolve the pesky issue of Jesus coming from Nazareth. (Matt. 2:23) Or the soldiers at the tomb. One theory is that Matthew received the material for his gospel for a source unique to him, called the “M” source. (Similar to an “Ur-Mark.”) However, people realized this was an unnecessary step—why create another source when we can say it simply was Matthew’s material? In the same way, we could call that “M” source the original “Q”—but again, why add an unnecessary document? Why not say it simply comes from Matthew? Thanks…I think that Bishop Spong has views similar to yours (e. g., the Midrashic elements of Matthew) and he too rejects the existence of Q. Actually, if this document ever did exist, we have a pretty good idea of what it would say. Nobody is claiming that the existance of Q is gospel truth. Just wanted to say that I have met people to claim just such a thing. I really went to the mat with one Catholic woman (who ran the church’s RCIA classes !!) over this and other textual origin matters. Maybe the real scholars aren’t positing Q as being absolutely real, but a BUNCH of folks are doing just that. Speaking of conjecture, John Shelby Spong does not support the Q hypothesis, but rather comes up with his own ideas about why Matthew and Luke wrote as they did. I think the book was Rescuing the Bible from Fundamentalism, and Spong imagines largely cultural reasons for the changes each author made – it fit with their own agenda. More imaginative than scientific, but still makes a fascinating read. Thank you for your fantastic review! I am half way through this book and getting ready to do a review myself. I love this book! I was a Christian, and upon waking up spiritually moved away and dropped all religious limits and affiliations. Today I find it fascinating to read and learn the histories of the various religions, and come to my own conclusions. Whether Q is real or not, I just like the fact that it makes us think, expand our awareness and consider other alternatives. Because I am sure of one thing and that is that today’s Christianity is a far, far way from what it all was meant to be originally. Thanks for reading, Evita..!! Yeah, whether or not you find the Q-source hypothesis to be convincing (which I do), the point of reading these kinds of books is to realize that Christian origins are much more complicated, mysterious, and interesting than many of us were led to believe. I was taught to believe that the book of Acts of the Apostles was all I needed to know about Christian origins, and that that everything could be traced back from the Apostles to the very words of Jesus. I remember reading Bart Ehrman’s ‘Lost Christianities’ and realizing that simple picture I was taught was just too naive. Ehrman showed me that Christian origins are far more diverse, and many alternatives need to be considered. It is great reading, but be careful Evita! You will soon find the topic to be addictive. Chrisianity is a Non-Organized Religion Based on Faith, not fact. Jesus is Gods Mercy, believe in Jesus and why he died and follow the Commandments. Never forget God created the earth and it’s here on earth where who remains to control what? Pray for those who let things from the physical relm come between them and their spiritual relationship with God. PFFFFTTTT!!!! You make me laugh very hard. Some branches of xianity are the most friggin organized religions you will ever come across. Then you say it’s not based on “fact.” Followed by a bunch of assertions, which I assume you want us to consider as “facts”? If they are not “facts” then why should I pay any attention to you at all? I stopped following my heart and started following my brain. Life got better and made more sense.